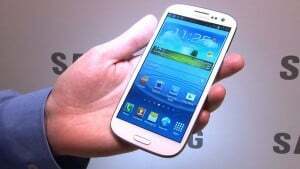 A few days ago, the guys at Sammobile, a well known contributor in the world of Samsung and Android, have posted an article stating that Samsung has finally released the official Android 4.3 for Galaxy S3. The update was released in Ireland for carrier Vodafone. However, if you decided to install the update manually, you would have noticed that it is in German when you first install it Also everybody who installed it said it is full of bugs. There is massive battery drain, lag all over the place, lockscreen issues etc. Also most users that installed this are saying that downgrading from this version caused their phone to lose network signal (message “not registered to network”). 1. This is an official update. It is available in Ireland for Vodafone users through Samsung Kies. It can be confirmed by Vodafone users there. 2. This version has bugs. Even though it was officially released, no one can argue the fact that this version is not finished. However, the lag and other minor issues can be fixed by installing a custom kernel – Yank555 – (you have to register on the forum to download files). 3. Updating to this version will change from EFS v1 to EFS v2. The EFS folder contains very important information about the phone, such as the IMEI number, Wifi devices MAC addresses, the product code etc. EFS v2 was introduced with Android 4.1.2 XXEMG4. Now, the reason why I’m telling you this, is because this is what caused users to fail to downgrade to Android 4.1.2 and lose network signal. If you didn’t have an EFS backup, and downgraded to an older Android version, you probably encountered some serious issues. If you want do downgrade to a lower Android version, you have to maintain a newer modem, like one used with firmware XXEMG4 and other newer ones. 4. This is definitely not a good firmware. I don’t care that this was officially released in Ireland to one carrier and a few Galaxy S3 owners there. No one can argue with the fact that this is not a final build. Galaxy S3 is the most popular Samsung smartphone on the planet, they are not going to release the same firmware globally. So official or not, I still think this was released for testing purposes and that the final and stable build will probably be released any day now. So, official or not, we are still waiting for the real Android 4.3 update for Galaxy S3. Until then, if you are good with custom ROM and so on, give this one or other custom ROMs based on this firmware a try, just to get the feeling of Android 4.3.